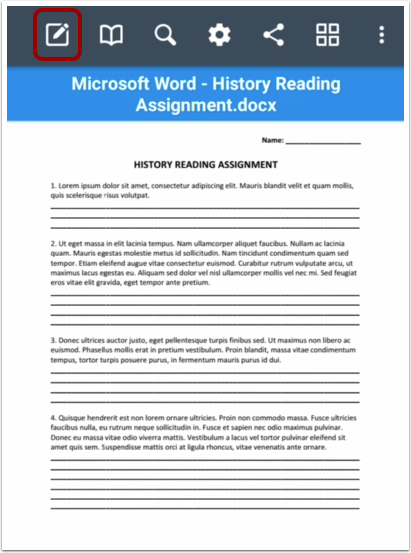 How do I submit a PDF assignment with annotations in the Student app on my Android device? 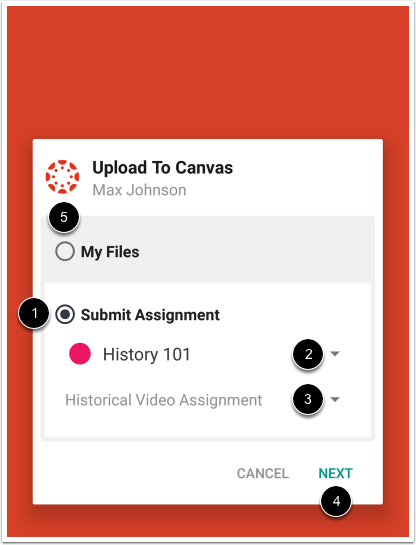 Canvas allows you to add annotations to PDF files for assignment submissions. To format text, tap and hold the Text Formatting icon . To add a note, tap the Note icon . To add drawings, tap and hold the Drawing icon . To return to the previous screen, tap the Close icon . The Text Format option allows you to highlight  and strikethrough  text. The Note option allows you to add a note or comment . The Free Text option allows you to type text . The Ink option allows you to draw on the document . 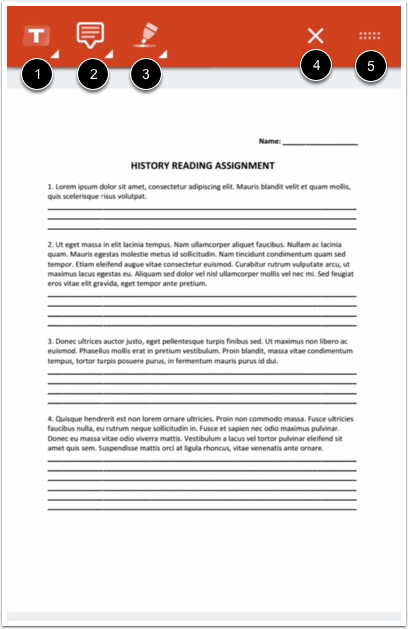 The Rectangle option allows you to add a rectangle to a section of the document . When you are finished adding annotations, tap the Options icon. Tap the Upload to Canvas link. 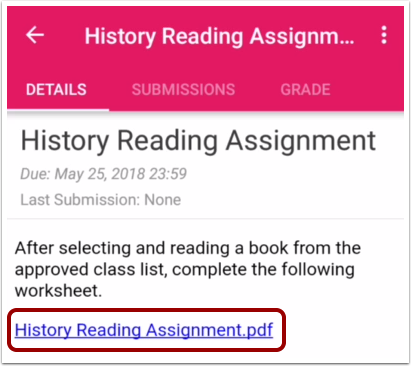 To submit the PDF, tap the Submit Assignment button . Then select the course  and assignment  for your submission. To confirm your selections, tap the Next link . 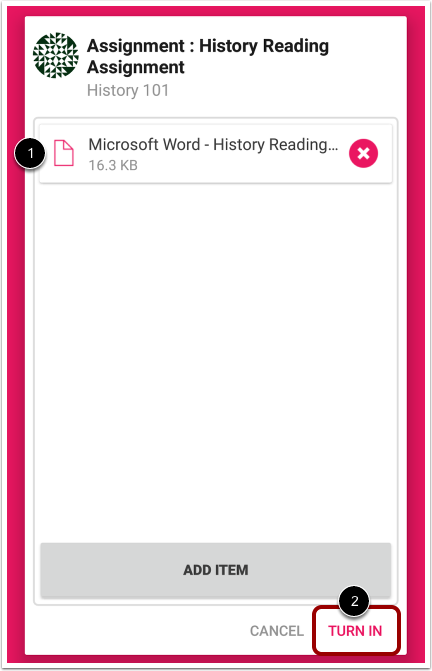 Note: You can also upload the PDF to your personal files by tapping the My Files button . Verify the file . Then tap the Turn In link . 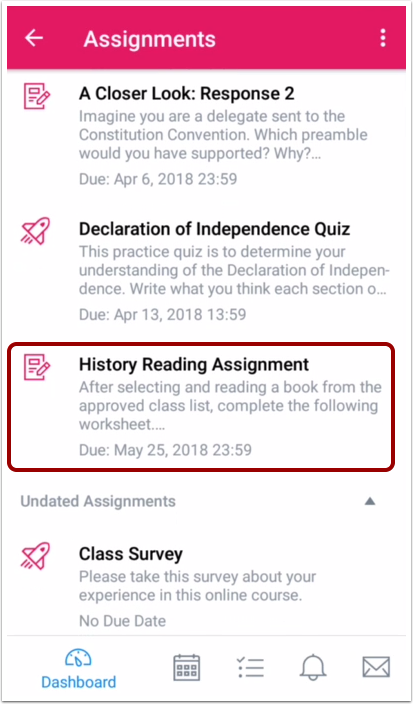 Previous Topic:How do I turn in an assignment from a third-party app to the Student app on my Android device? 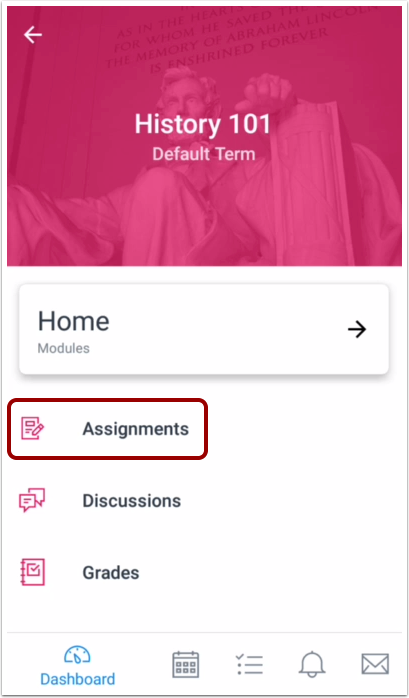 Next Topic:How do I resubmit an assignment in the Student app on my Android device? 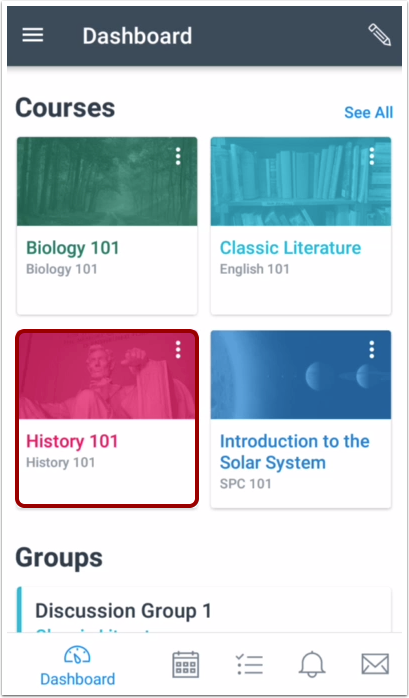 Table of Contents > Course Features > How do I submit a PDF assignment with annotations in the Student app on my Android device? Just in case someone else ends up here the way I did, I couldn't get this to work on Android anymore. Clicking on the PDF just brings up the default PDF viewer instead. I reported it to Support and they were able to replicate the problem so I guess it's in the laps of the developers to fix it now. This was such an awesome feature, I hope they fix it quickly!